The PhaseSpacePosition class provides an interface for representing full phase-space positions–coordinate positions and momenta (velocities). This class is useful as a container for initial conditions and for transforming phase-space positions to new coordinate representations or reference frames. This is interpreted as 8, 6-dimensional phase-space positions. 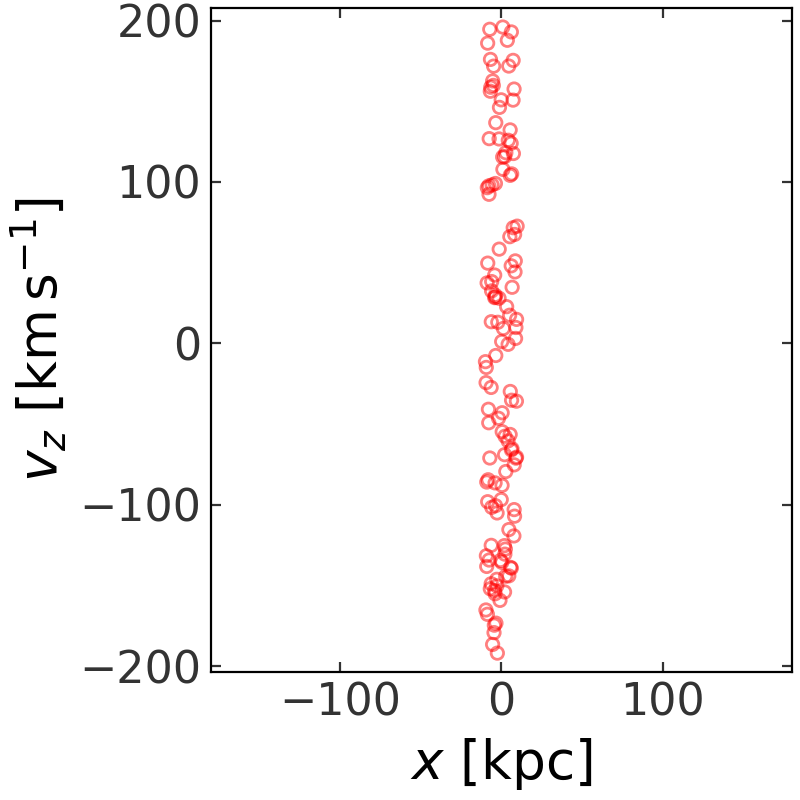 The Orbit class inherits much of the functionality from PhaseSpacePosition (described above) and adds some additional features that are useful for time-series orbits. Internally, both of the above classes rely on the Astropy representation transformation framework (i.e. the subclasses of BaseRepresentation and BaseDifferential). However, at present these classes only support 3D positions and differentials (velocities). The PhaseSpacePosition and Orbit classes both support arbitrary numbers of dimensions and, when relevant, rely on custom subclasses of the representation classes to handle such cases. See the N-dimensional representation classes page for more information about these classes.